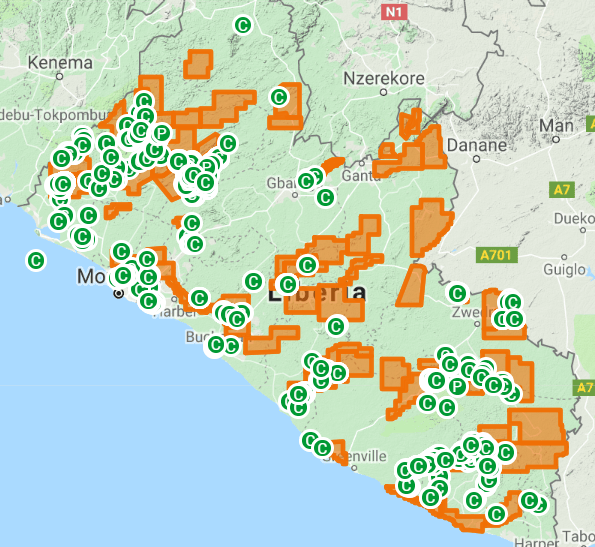 The Mining Cadastre Management Unit (MCIMU) is a key feature for the promotion of investments within the mineral and mining sectors of Liberia. In order to attract and retain investments, the Government is committed to the creation of a stable regulatory, economic and political environment that encourages long term investments. The New Minerals and Mining Law of 2000 (NMML) is based on international best practice including security of tenure, removal of discretionary powers, a first-in first-assessed principle and transparency in licensing procedures. Potential investors, both local and international are much more likely to invest in a country where such a system is found to be of a high quality and transparent nature. Thus, the Mining Cadastre Information Management Unit now forms an integral part of all serious investors’ contacts with the mineral and mining sectors of the country. The smooth functioning of this system is vital to ensure that the goals of the Government and that of the Ministry of Mines & Energy are achieved. The Cadastre is guided by the principle of transparency in handling applications for mining and mineral-related rights on a first-in first-assessed (FIFA) basis. This is fundamental to the orderly development of the mineral sector in a manner that guarantees the wealth and peace for all the people of Liberia while minimizing any social, environmental and economic consequences. To facilitate access to up-to-date information for potential investors. The MCIMU is manned by specially trained personnel with technical expertise in the relevant licensing tools.